How does a Fox sleep? Fox is clever when it comes to sleeping arrangements. She never brings a sleeping bag to a cabin, because it increases the chance of her claiming the only available bed. Fox will curl up in a ball when she sleeps, taking up as little space as possible in the largest bed there is. An average human will spend about a third of their life asleep. When you sleep, you don’t just pass out into darkness. You go on breathtaking journeys in the garden of your mind. 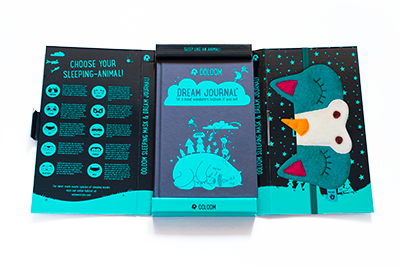 Ööloom dream journal helps you record and thereby recover the missing third of your life. The arguably more fun third. 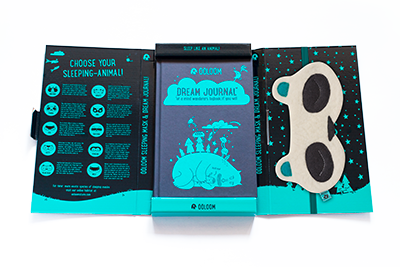 The dream journal provides loose guidelines for writing down and even rating your dreams. It’s also possible to use it as a day to day notebook, if you choose to be a rebel and disregard the intended purpose. 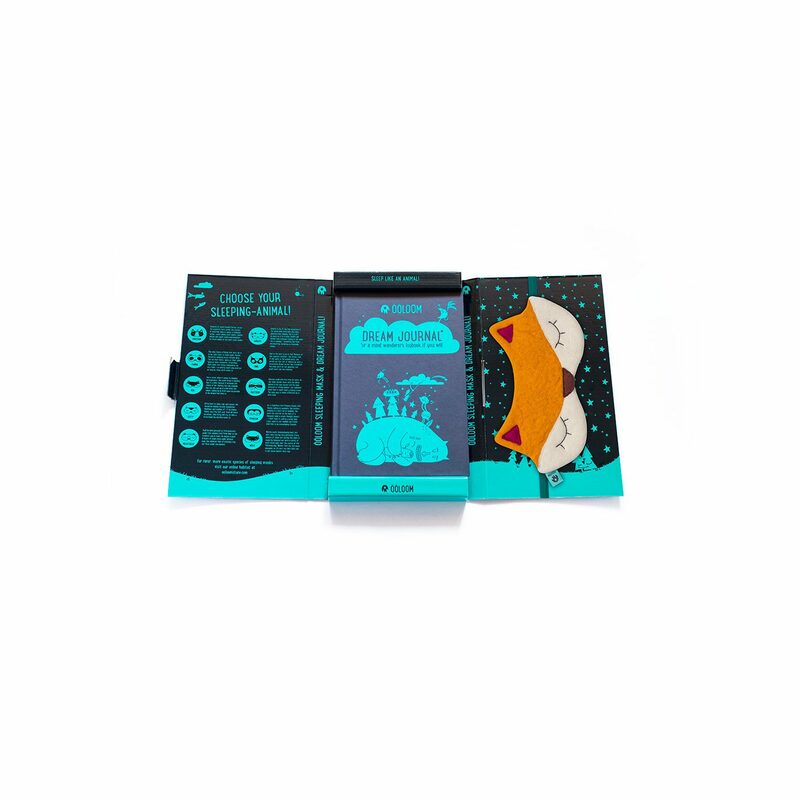 And finally it also gives you an affordable way of keeping track of your relative sanity. Good luck and sweet dreams! Care for your sleeping mask like your sleeping mask cares for you. Wash your face before you go to bed. Your ööloom face blanket will appreciate it. If you must, then hand wash. Or better yet, give it to your mum, she’ll know what to do. 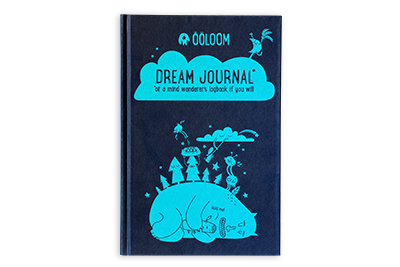 The dream journal should not be washed under any circumstances. Just make sure to vigorously feed it with words, pictures or random scribblings.